A very cute New Baby Girl Greeting Card by Petra Boase. 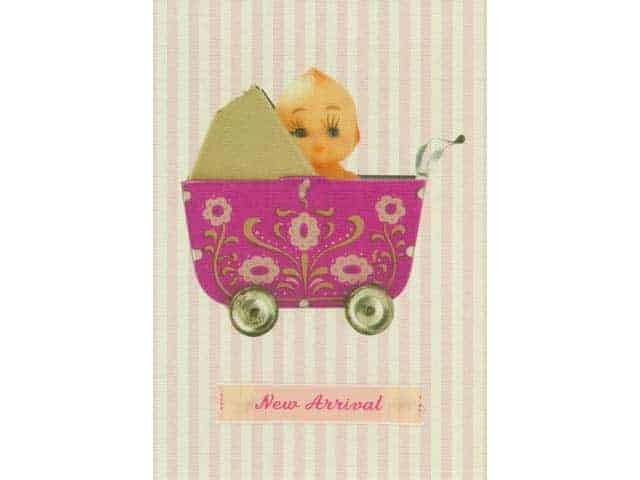 It features a Kewpie doll peeking out of a vintage style pram on a pink and white candy striped background. 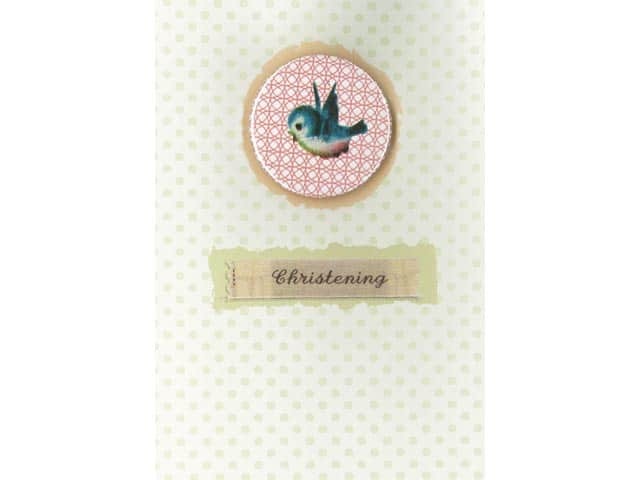 This card has a ribbon embellishment embroidered with the message ‘New Arrival’ on the front.